An easy recipe for Sparkling Strawberry Cocktail. Just a wee bit of prep a week before to have a bright and flavorful Strawberry-Infused Vodka come cocktail time! se great things, this Sparkling Strawberry Cocktail also happens to be something else very important…really easy. Like seriously easy. 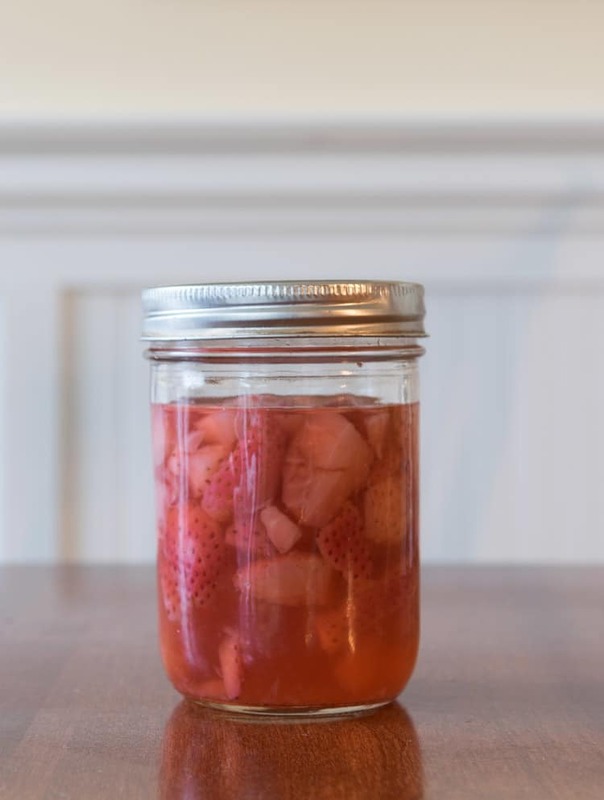 Just chop up some strawberries a week before, put them in a jar with vodka, muddle them up, and let them work their infusing magic. 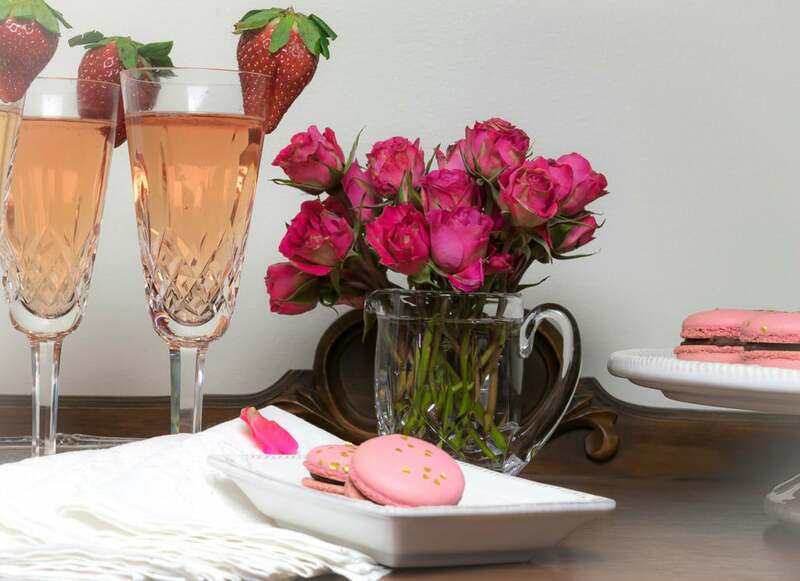 Come Galentine's Day, Valentine's Day or whatever day you wish to serve them, put a little in a glass and top with your favorite, bubbly Prosecco. If you do decide to add sugar, do it at the end of the infusing when you are pleased with the strawberry taste. The sugar may impact the infusing. Infuse your vodka, gin or bourbon with any number of fruits and herbs. Just use a 1:1 ratio of fruit/herbs:your favorite alcohol. Add fruit and vodka to a jar and muddle. Seal tightly and store in a cool, dark place for 5-7 days, shaking every day or so. Strain fruit from vodka and store in a cool, dark place. If you do decide to add sugar, do it at the end of the infusing when you are pleased with the strawberry taste and have strained the fruit from the vodka. The sugar may impact the infusing. You could add a little bit of sugar to the strawberry/vodka mixture if you would prefer a slightly sweeter drink. If you do decide to add sugar, do it at the end of the infusing when you are pleased with the strawberry taste; the sugar may impact the infusing. And not for nothing, but you can't go wrong pairing your cocktails with these Raspberry Macarons! Bookmark this page or pin the following image to refer back to this recipe for Sparkling Strawberry Cocktail! Oh man, you are easy! Have you done other ‘infusions’? I’m anxious to try others. I have fresh strawberries and vodka in my kitchen right now, I need to try this! I bet it would be delicious for Valentine’s Day next week. Thanks! The whole infusing thing is so fun…so many possibilities! But could be dangerous. I just love prosecco cocktails and infused vodka. I will have to give this a try. Oh, then this is right up your alley!